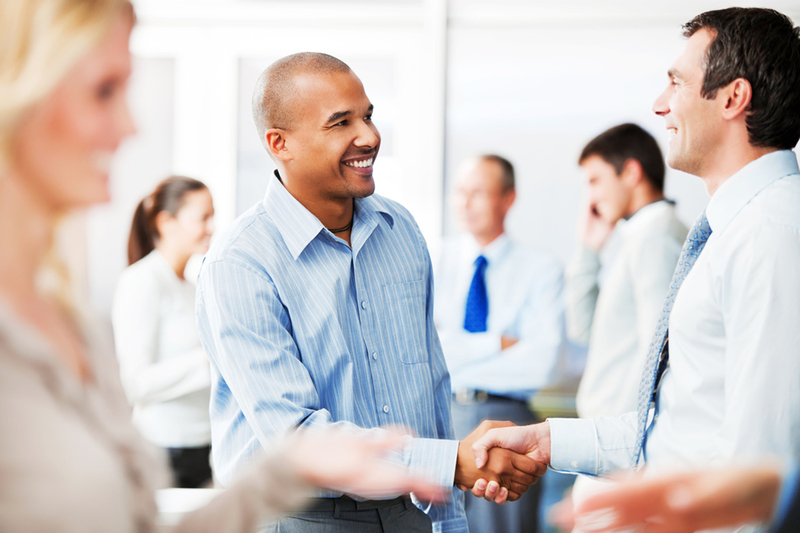 One of the most valuable takeaways from any conference is the new relationships and contacts made through networking. Understanding how to network at a conference, and going in with the right strategy can be a gamechanger for your business or career. To get the most out of the conferences and meetings you attend, it’s important to plan your strategy well ahead of the actual event. These 21 tips that will help you make the most of your conference networking opportunities before, during and after the event. Conferences tend to move at the “speed of social” these days. That is to say, people are moving from one conversation, session, or event to another, quickly. It’s easy to get lost in the flow of things. Identify clear objectives of sessions to attend, who you hope to meet, and what you want to take away, prior to the event. Networking events, dinners, and activities will likely be held there or nearby. In addition to this, most of the speakers, panelists, etc will be staying there also. A “chance” meeting in the lobby, gym, hotel Starbucks, or elsewhere can help “break the ice” and lead to additional opportunities for a conversation later in the conference. One last item to think about… If you’re anything like me, you occasionally run late for at least one of the opening sessions or keynotes. Staying in the same hotel as the conference can be a lifesaver on those occasions. If there are specific attendees, vendors or speakers you hope to meet and talk to, do your research and prepare well ahead of time. Read their latest book, blog posts, etc, and searc for the latest news on their company. Connect with them on Twitter and follow/engage in conversations up to, and while at the conference. Have your initial questions or a comment prepared ahead of time. Use the same approach mentioned above. Let them know that you value and have an interest in their work and that you would like to take a minute or two at the conference to introduce yourself. Demonstrate that you’re aware of the value of their time and be clear that you only want to take a minute or two. One of the biggest mistakes people can make in their very first contact is to try and schedule a lunch or dinner meeting. Break the ice first and lead with value. If you do this, you’re much more likely to get some follow-up time and a longer meeting if needed. Many times at conferences I see people begin to approach someone they would like to meet only to stop 5-10 feet away and go into “hover mode”. Nothing makes a person more nervous than the possibility that a stalker is nearby. Seeing you in “hover” mode, the person you hope to meet will most likely already be formulating their exit strategy. Complete your approach and simply introduce yourself. If at some point the conversation gets “stuck” always have a few conversation starters to get it going again. Here are a few examples. “I’m trying to improve (Fill In The Blank) — what are you doing, any tips? Don’t spend all your time outside of conference sessions using your phone, laptop or tablet. By circulating and looking open and engaged, you’ll make it more likely that someone else, looking for someone to talk to, will approach you. While its great to meet the speakers, authors and other VIP’s at a conference, don’t spend your entire time trying to connect with them. In doing so, you’ll miss countless other opportunities. Instead, spend your time listening, learning and connecting with others that have similar interests and objectives as you. Your time at the conference will be a much more worthwhile investment. Know who is speaking where and when in relation to your interests and conference objectives. You can’t be everywhere at once, and the best sessions fill up quickly. You don’t want to miss the opportunity to be in the session with that “one” person you’re hoping to meet or hear. Tweet or post about the conference while you’re there. Tag people you’ve met, or hope to meet, and make complimentary, positive comments about their session, session topic, panels and the conference itself. Always use the conference #hashtag. It’s always okay to check out someone’s nametag if you want to know who “that someone” is – that’s why they provide them at nearly every conference. Be sure your nametag is visible so others can identify you. Schmoozing VIP’s, speakers, etc at a conference is perfectly acceptable and probably one of the leading causes of strained eyes and sore necks by Day 2. Still, if you’re not sure who it is, just ask. Don’t go with the idea in mind that you’re there just to pitch yourself or your agenda. Listen to others and you’ll be surprised at the amazing relationships and opportunities that open up. Note: If you’re going to drink alcohol at networking events, do so responsibly. More than a few careers, relationships, and opportunities have been damaged by neglecting this simple rule. There’s always time after the event without incurring the risks of overindulging at the open bar. These are great social opportunities. Contact the conference organizer ahead of time for information and details. If it’s a large event like SXSW, etc, follow the conference #hashtag and check Eventbrite often to ensure you’re up to speed on all of the conference related activities, meet-ups, etc taking place. That is, they go, thinking that they will know few if any of the other attendees. During the various sessions, introduce yourself to the people on each side of you and use the conversation starters mentioned earlier. Follow the conference #hashtag on Twitter and engage with fellow attendees. You’ll build a “conference network” in no time and leave with several new connections and friends. Inevitably you will end up in a conversation you wish you had never started. Be prepared to politely and gracefully excuse yourself. This is more of a “how not” to meet someone at a conference. There are several ways to do this, but always be polite. Thank the person for their time and politely excuse yourself. There are several terrific social discovery apps that let you know when people within your networks are nearby. Many provide a simple interface for saying hello and are generally easy to set up and use. I’ve used them at conferences and they’re great for networking beyond the confines of the sessions you’re attending or the show floor. Unfortunately, a lot of these apps come and go or are integrated into the conference app itself (which is fine), however; it can be a bit of a pain having to download a new app for every conference that you attend. Don’t want another app on your device? Simply use Twitter and a Twitter client like Tweetdeck to follow the conference #hashtag. Conferences can be long, all day, well into the evening events. Lack of breath mints, gum, eyedrops, a comb or brush, cologne or perfume can ultimately be a deal-killer when you’re meeting someone. Plan and pack accordingly. “I don’t use business cards, I like to connect on social”…., says the person who always forgets them. Don’t believe it – business cards are still a valuable asset to have at the ready. It’s one of the quickest, most effective ways to introduce yourself and share your contact information. If you prefer to connect on social, add your Twitter handle and other social details on your card. You may have only a brief moment to make contact with someone and handing them a business card is always better than a missed opportunity. If working out is a regular part of your daily routine, go to the hotel gym. Its a great place to meet other conference-goers in an “outside the conference” environment. Don’t want to go to the gym? If there’s a Starbucks at the hotel or conference center, that’s another great place to meet and connect. You should have a number of business cards from people you’ve met. Send an e-mail or Linkedin invite summarizing an interesting point from the conversation and suggest whatever follow-up is appropriate (phone call, coffee/lunch, or simply “let’s keep in touch”). Where it makes sense, connect the person with others you know personally, where there are shared interests and a likelihood of a valued connection. In addition to the follow-up mentioned above, be sure to connect socially on LinkedIn, Twitter, etc to stay in contact. Send a brief message with your friend request, reminding the person who you are and thanking them for the time they spent speaking with you. There are hundreds of conferences each year that cover every conceivable niche, interest or industry. NAB, SXSW, Social Media Marketing World, Inbound, Dreamforce, Hitec, and HIMSS are a few, but there are many, many more. To make the most of them, use these tips on how to network, and I promise you won’t be disappointed in the results.